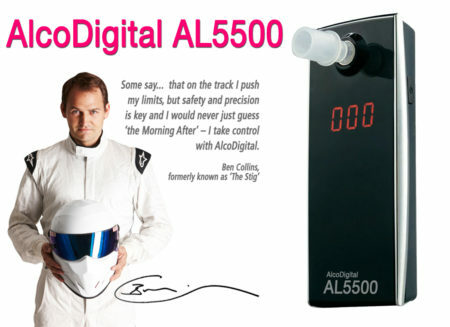 AlcoDigital AL6000 has been a long standing popular personal breathalyzer. Because of its ergonomically designed body it is easy to hold and use; no slipping through your fingers with the rubber soft grip. 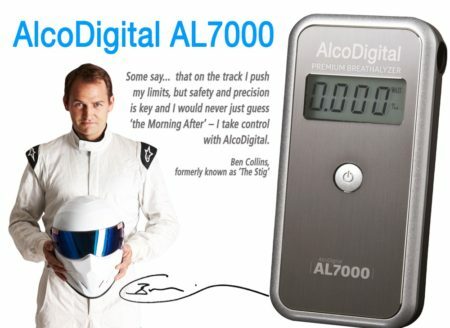 More attractively it is the cheapest breathalyzer in our Swap and Go range: unlike most other semi conductor breathalyzers, the AL6000 does not need a regular calibration. Instead of sending it in every 12 months, order yourself a replaceable sensor online and swap the sensor yourself. 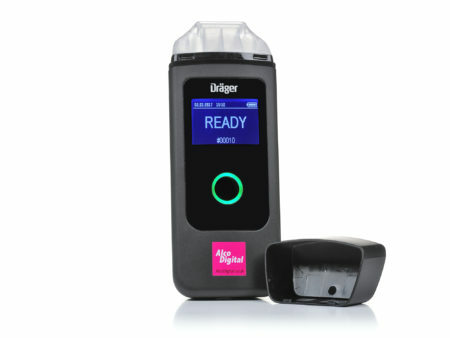 No calibration = no days without your breathalyzer = equal amount of trust in accuracy. 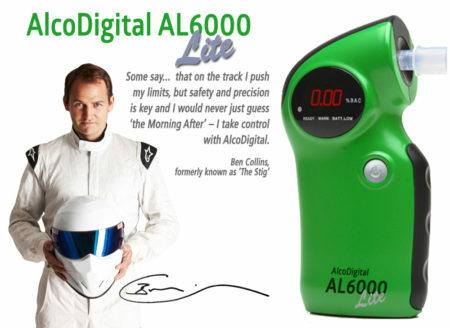 The Swap and Go AlcoDigital AL6000 reads in Mg per Litre of breath and displays measurements up to 2.00Mg/l. 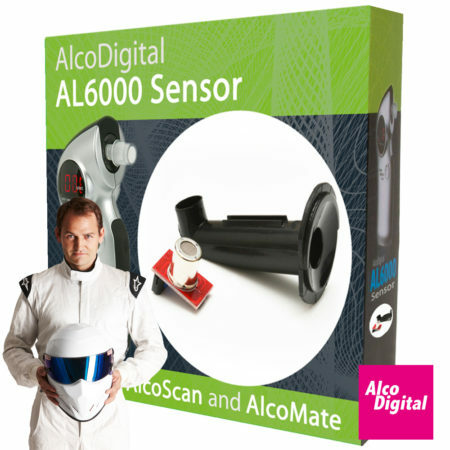 For protection when transporting the breathalyzer we include a soft pouch that perfectly fits the AL6000. No hidden extra costs – we also include the batteries that can last around 200 tests. How do I perform a test on the breathalyzer to see if I am fit to drive? It’s very easy to provide a breath sample. Turn the breathalyzer on by holding the on/off button momentarily; the breathalyzer will count down while it warms the sensor to the correct working point. While the breathalyzer is counting down, apply the narrow end of the mouthpiece into the opening on the breathalyzer. It will stay in securely so it won’t come out when you provide a breath sample. Then simply blow into the breathalyzer with a continuous flow, the breathalyzer will sound a long beep while you do so. When you hear 2 small beeps then you have provided enough breath and the breathalyzer will show your results on the screen. You can use this result to determine whether or not you are over the legal limit or not, however the only safe level to drive at is ZERO. 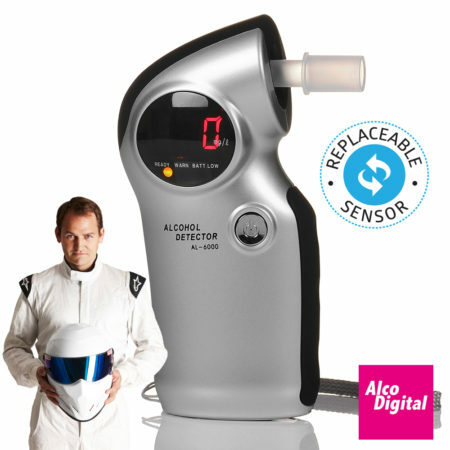 Every good breathalyzer has a sensor in it that uses the alcohol in your breath to produce an electrical charge which is converted to an interpretable reading. The AL6000 uses a semi-conductor sensor that does this, a sensor that is easily replaced by yourself. Replacing the sensor every 12 months or 200 tests will give you the confidence that the accuracy is equally as good year on year. This is similar to getting a calibration but without having to send the breathalyzer in to us. 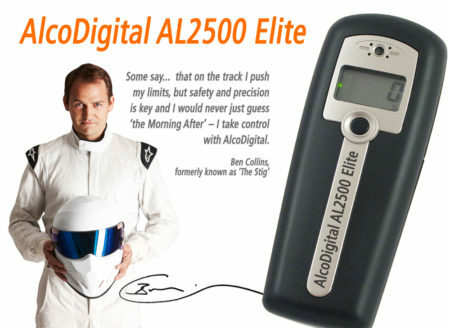 The AL6000 breathalyzer comes with 5 mouthpieces. Without a mouthpiece you won’t always be able to provide a steady flow into the breathalyzer: mouthpieces help direct the breath content over the sensor to produce a more accurate and consistent result. 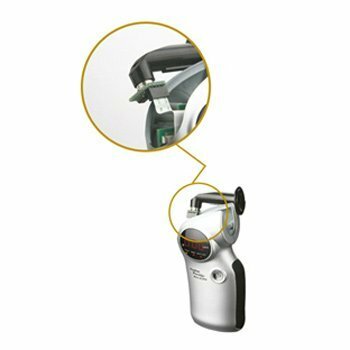 The AL6000 also has an exhaust where any excess breath supplied can escape to help with the accuracy of the reading from your breath sample. The AL6000 range is unique in that it also provides an LED AND audible warning. Below the screen where your reading is produced is a warning light that will show green, amber or red depending on your test result. Test counter – Shown as you turn the breathalyzer on, this gives you a good idea of how many tests you have done. Helps to remind you when to change your sensor (should be every 200 tests!). 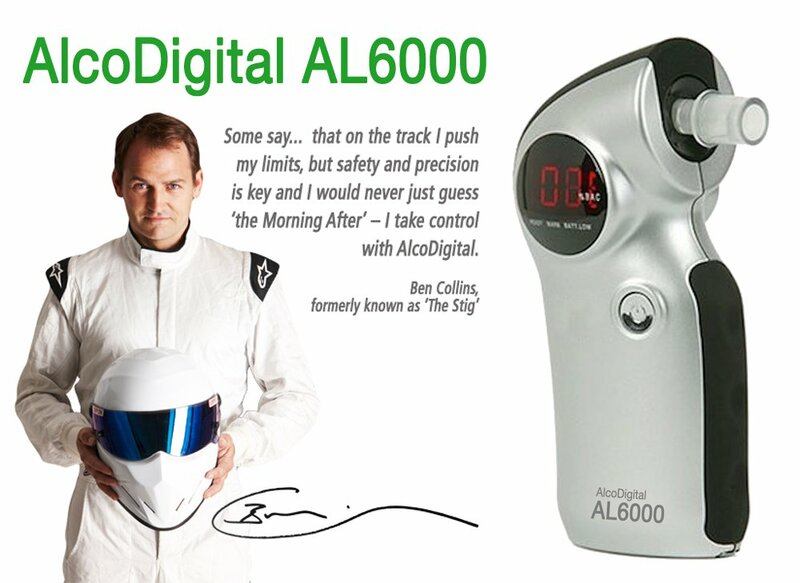 Automatic power off – Incase you forget, the AL6000 will turn itself after only a short period on inactivity.